The Colibri T20 and Colibri T30 integrate 3 different display interfaces. Two of them can be used at the same time. In Cinema Mode, the regular desktop is shown on the first display only. The second display stays black, until a video is played. The video overlay is then shown on the second display. In Mirror Mode, both displays show the same content. The native resolution of the displays may be different, the picture will then be stretched to fit the screen. On the Colibri module, plug the FFC cable into connector X2. The connector is bottom contact, i.e. 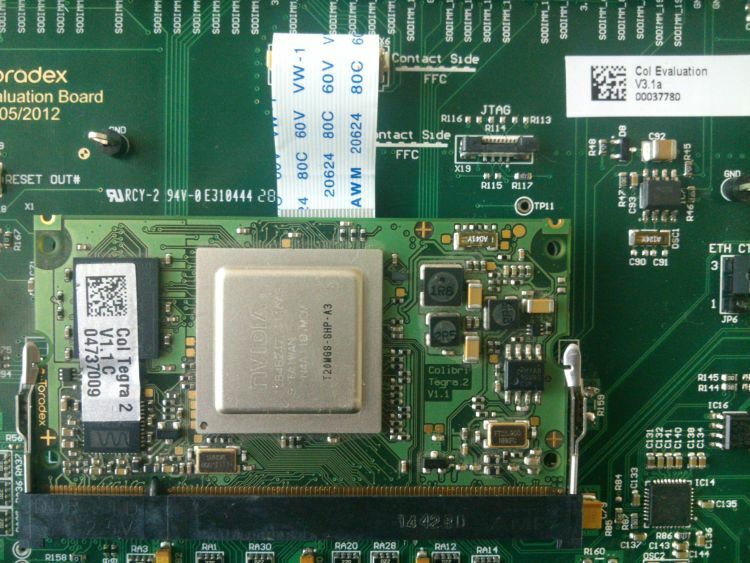 the cable's open contacts must face towards the Colibri PCB. 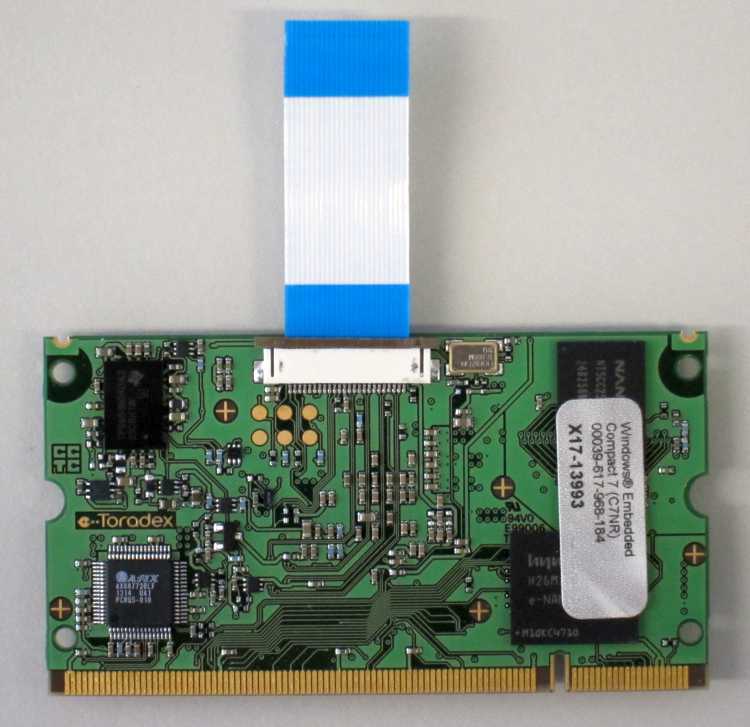 On Evaluation Board V3.1 use connector X6. On Iris V1.1, use connector X2 on the board's bottom side. 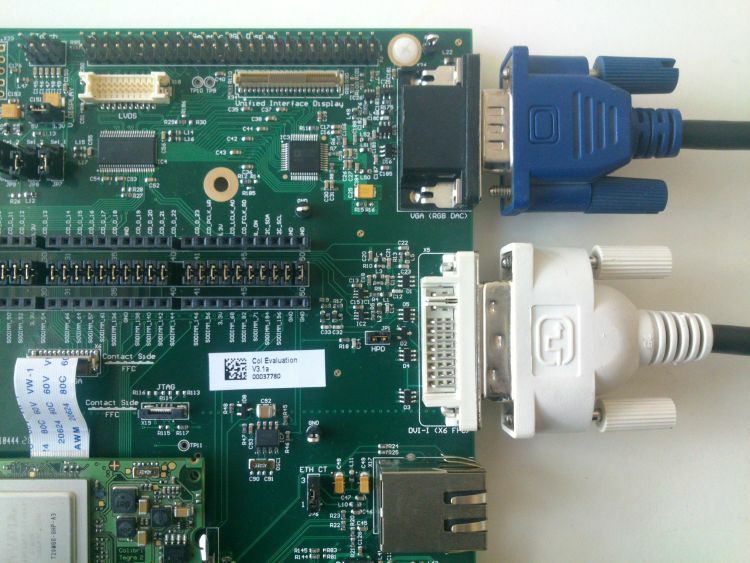 On Evaluation board V3.1, connect VGA cable to X24 and HDMI cable to X5. 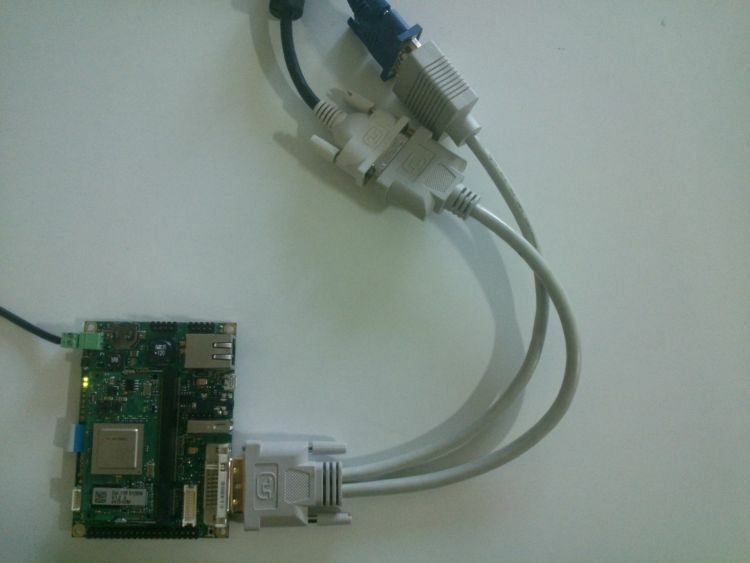 On Iris V1.1, connect an HDMI/VGA splitter to DVI-I connector (X4). Connect the VGA and HDMI cables to the splitter. 4. Power up the board. You will see the desktop on the VGA screen only. 5. On the Colibri module, go to Start > Programs > Colibri Tools > RegEdit. 7. Go to Start > Programs > Colibri Tools > SaveReg. Reboot the module. If you also want to show the Windows Desktop on the second screen, use 0x30011 for the HotPlugStyle and BootUpStyle key. You have finished the setup for dual display. Now you can go on and play some video for testing. The Colibri module is in a mode where HDMI is disabled until a video is played (in player.exe for example). Then the HDMI output switches to the closest resolution matching the video resolution and shows the video on the HDMI screen. At this point you can open other applications on top of the video player app. NOTE: don't minimize the video player app as it will pause the video playback and disable the output on the second screen.